Class takes place April 30th @ 7pm EST on Google Hangout. You will receive a link to join the Hangout shortly. 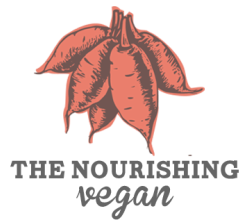 In this class you will learn how to make delicious, colorful and nourishing vegan meals using only 5 ingredients. Each dish we make will be highly nutritious and easy to make. You will leave with recipes that are simple enough to enjoy for a week day dinner, yet delicious enough to serve to friends. Recipes and shopping lists will be sent 3 days before the class.